To celebrate the launch of our Sustainable Neighbourhood Action Plan and the formation of the Cardiff Area Sustainable Neighbourhood Group, we held a community celebration and plant swap event in Wilkinson Park. We were pleased to have great weather on the day, and over 70 local community members turning out. Lake Macquarie Mayor, Councillor Jodie Harrison attended, and officially launched the group. 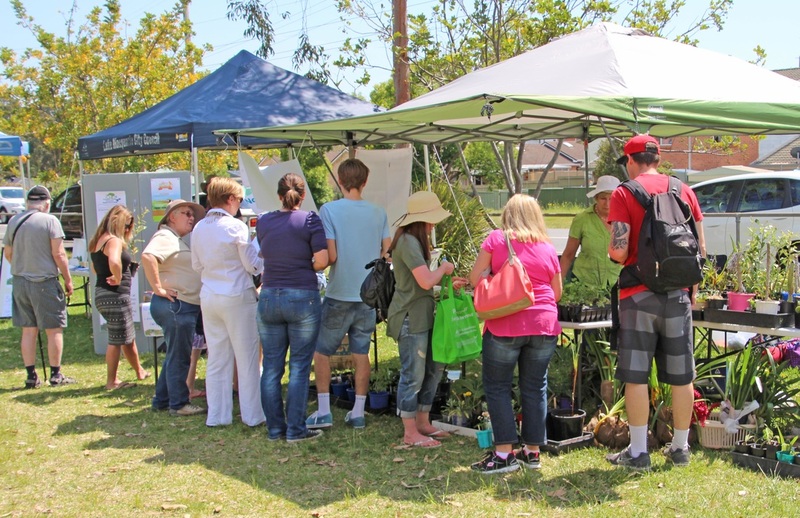 Our plant swap proved to be popular, and involved asking everyone to bring in some vegie, succulent or native seedlings to swap with each other. 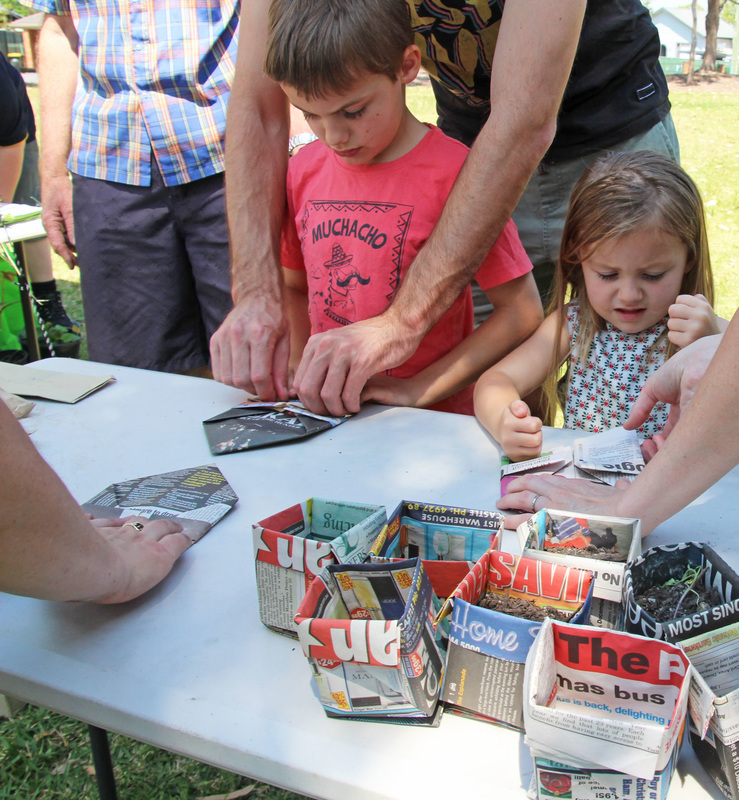 We also provided some seeds and soil, and helped people pot up their new treasures in newspaper pots. 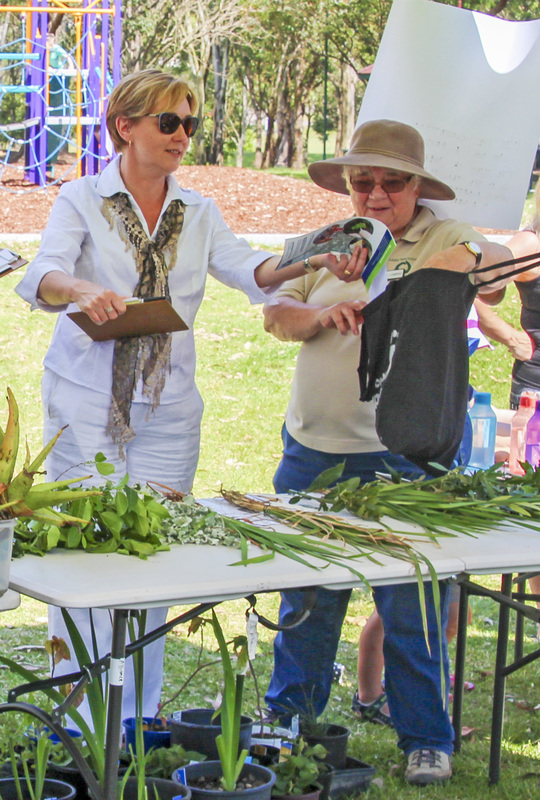 Ann Loughran, local Landcarer, plant expert and author of the very useful 'Native Plant or Weed' books, volunteered on the day to help identify any sneaky weeds or mystery plants. Ann's guessing competition, 'Weed or Native' was a hit, with Walter McNiven of Cardiff South winning one of Ann's books with a score of 8/10. Newcastle District Scouts cooked up a fabulous sausage sizzle for everyone, and some members of the Cardiff Public School Ukelele Band provided entertainment for the crowd. Everyone found the displays about the Great Australian Bird Count and local Landcare activities informative and inspiring. Thank you to everyone who attended, and to all the individuals and organisations who helped create a wonderful community event. We are looking forward to working together on future projects for a more sustainable Cardiff Area. Lake Macquarie Mayor, Councillor Jodie Harrison cutting our special Cardiff Area Sustainable Neighbourhood cake. Planting a tomato seedling to take home. 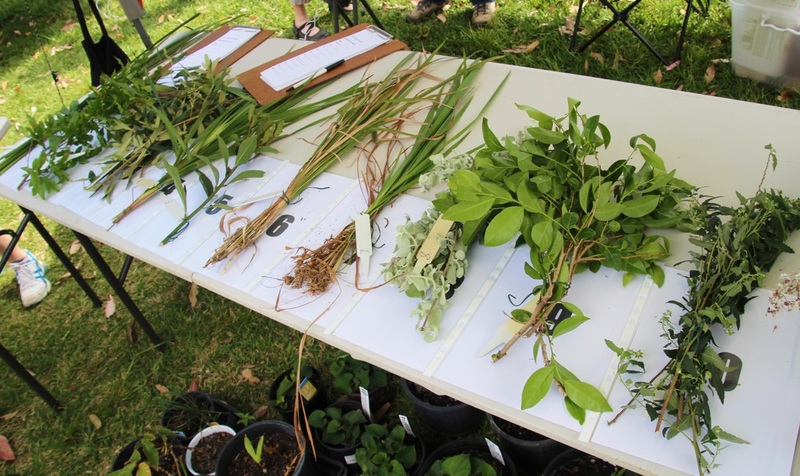 Can you tell which are weeds and which are native plants? 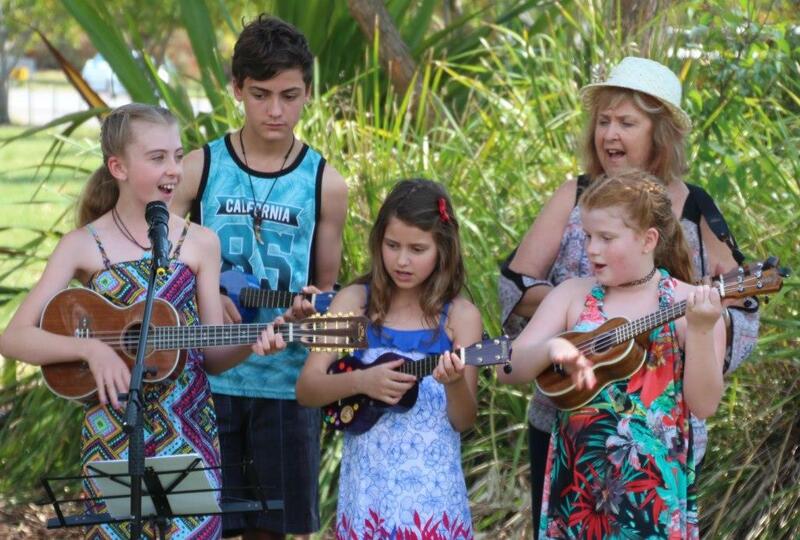 Members of Cardiff Public School's Ukelele Band. Residents enjoyed finding out about our group and other local organisations. Folding old newspaper into seedling pots. Mayor Jodie Harrison and local Landcare legend, Ann Loughran.